Small-leaved Shamrock: The Cowhey clan circa 1940s: Who's who? The Cowhey clan circa 1940s: Who's who? The Cowhey family of Mount Carbon, Schuylkill County, Pennsylvania was a very big family. William Cowhey, one of the sons of immigrant ancestor Patrick, had at least fifteen children - five with his first wife (whose name I have still not been able to confirm) and ten with his second wife, Margaret (Foley) Cowhey. 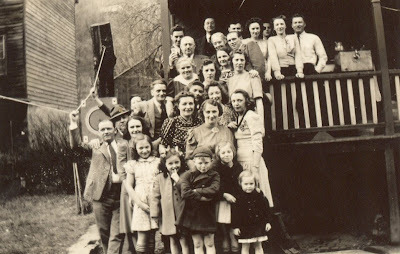 I have never done the math on William's descendants, but by the time these family photos were taken in the 1940s, the Cowheys made up much of the one street town that was Mount Carbon, Pennsylvania. Being related to your neighbor was more common than not. It must have been like one big happy family in that little corner of Schuylkill County. 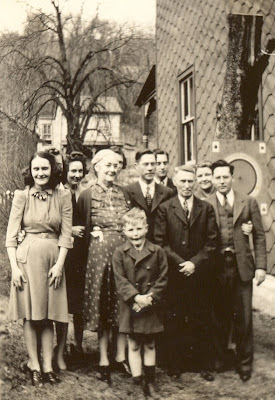 Cowhey family members at the side of the home of John & Frances (Owens) Cowhey at 75 Main Street, Mount Carbon, Schuylkill County, Pennsylvania. Various family members. Sepia photographic print. Circa 1940s. Privately held by Lisa, [ADDRESS FOR PRIVATE USE,]. 2009. Cowhey family members on the back steps of the home of John & Frances (Owens) Cowhey at 75 Main Street, Mount Carbon, Schuylkill County, Pennsylvania. Various family members. Sepia photographic print. Circa 1940s. Privately held by Lisa, [ADDRESS FOR PRIVATE USE,]. 2009. I treasure these photographs that I have of one of the Cowhey family gatherings. I know for sure that there are many, many family members missing from these photographs, so it is not a complete family photo of the Cowheys. However, there are many familiar faces here whose photographs I am so happy to have including: John & Frances (Owens) Cowhey, Charles & Agnes Cowhey, their daughter Molly, Kit McGinley and her family, Helen (Cowhey) Miller's two children Eileen & Joan, Bill Rogers, Blanche Cowhey, Nan Cowhey, Grace Cowhey, Pat Cowhey, Mary Cowhey, Jim Cowhey, Fran (Cowhey) Chapman and Ann Marie Mokelar. I began working to identify everyone in these pictures a good ten years ago, but have gotten side-tracked many times. The problem is that no-one seems to be able to identify everyone in the photograph. I have gotten tips from family members about the identity of many people in the photo, but am still missing some. If you can identify anyone in this photograph, please email me and let me know who they are. One of the reasons that I started Small-leaved Shamrock was to reconnect this big happy Cowhey family once again. During the early 20th-century, younger generations of the family began branching out and moving to different areas of Pennsylvania, New England and the Mid-Atlantic. Now they are spread further across the nation, and the family closeness that was such a part of this extended family has been lost. 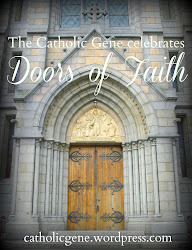 My hope is that through this blog, we might reconnect once again and enjoy reminiscing about our shared heritage. Note: For some reason, clicking on these photographs does not appear to enlarge them. For a closer view of the second photograph, visit One big happy family and click on that image. 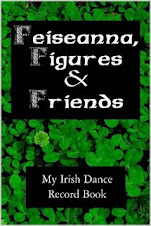 Five days left: Tell us your "key to Ireland"
Are you a fan of Small-leaved Shamrock?